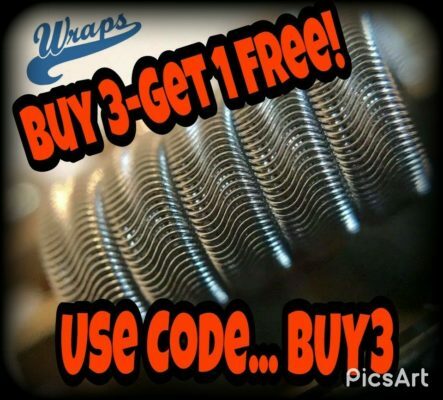 Wraps is dedicated to providing you with the finest 100% hand crafted, hand wrapped coils on the market! We are proud to be the first and only coil makers who carefully clean each coil with an ultra sonic cleaning process. Each coil is gently cleaned and then packaged using gloves. Exclusively made with world famous Kidney Puncher wire. With proper care and cleaning our coils will last from 3 to 5 months!